Situated at the base of Sumner Hill, 58 Seaverns offers a light filled and spacious two bed, two bath, floor-thru. Thoughtfully laid out, the principal rooms are arranged in a classic enfilade. The living space unfolds to a dining room, which leads to the kitchen, and then through french doors, onto the private rear terrace. Brightly lit, walnut stained hardwood floors help unify the space and ground the design. 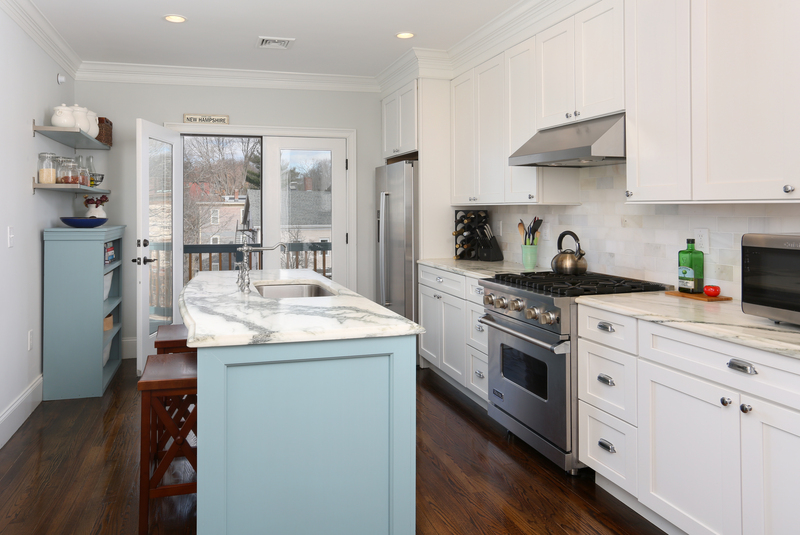 The custom kitchen comes with a professional Viking Range, honed marble topped counters, and an eat-in center island. Master bedroom with marble en-suite and glass enclosed shower. The second bedroom is generously proportioned with a walk-in closet, and access to a second full bath with soaking tub. There are two private terraces with sweeping views. The building was gut renovated in 2012 and offers central air and gas heat. In unit laundry, designated private storage space in the basement, and one parking spot included.